The ISS National Lab is seeking external scientific reviewers to conduct a technical review of proposals based on predetermined evaluation criteria and scoring methodology to assist in identifying the best research projects to utilize the unique environment of the International Space Station National Laboratory. Non-civil-servant reviewers may receive a professional fee for evaluating proposals. The ISS National Lab is a scientific and educational 501(c)(3) nonprofit corporation responsible for management of the International Space Station (ISS) U.S. National Laboratory. The Center for the Advancement of Science in Space is under a cooperative agreement (80JSC018M0005) with NASA to maximize the value of the ISS to the nation by developing and managing a diversified R&D portfolio, and to support science, technology, engineering, and mathematics (STEM) educational disciplines. ISS National Lab projects must have a clearly defined benefit to life on Earth and value to the nation. These projects must also clearly define how utilization of the unique environment of the ISS (with respect to time, money, or capabilities) will enable the project to meet its science and/or technology maturation goals. 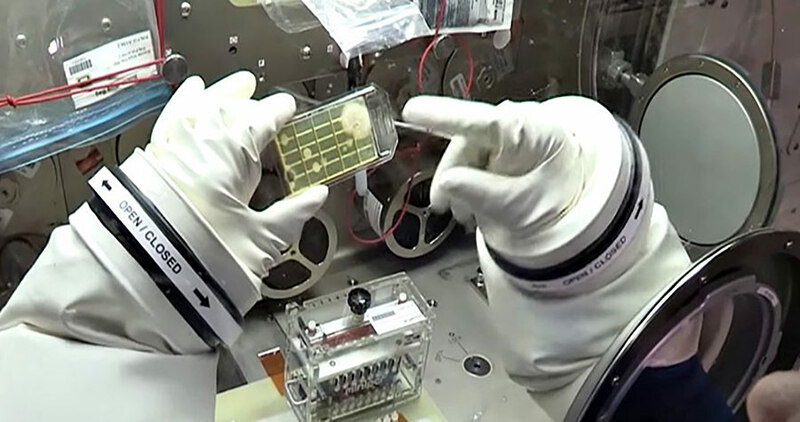 If the project can easily be completed in analog facilities on the ground without a significant diminution of data acquisition and/or technology readiness, it will not be considered responsive to the mission of the ISS National Lab. Qualified reviewers must be a U.S. citizen or a U.S. Permanent Resident and have demonstrated subject matter expertise and/or experience in the research or technology topic area. Reviewers cannot review proposals from any group or individual with whom they have a current or recent research collaboration and/or financial interest. The ISS National Lab requests that reviews of proposals be completed in approximately two weeks from receipt of the proposal. Providing information at this time does not commit you to serve as a reviewer, nor is the ISS National Lab obligated to select you as a reviewer. Non-civil-servant reviewers may receive a professional fee for evaluating proposals. The identities and affiliations of the ISS National Lab reviewers are strictly confidential. Responses to this notice are not considered offers, shall not be used as a proposal, and cannot be accepted by the ISS National Lab to form a binding contract. Inputs shall be compliant with all legal and regulatory requirements concerning limitations on export-controlled items. To the full extent that it is protected pursuant to existing laws and regulations, information identified by a respondent as “Proprietary or Confidential” will be kept confidential. Inquiries regarding this opportunity should be submitted via email to info@issnationallab.org.